The Brotherhood of Virtue awards reputation points to players of level 5 and above who have a Healing level of at least 2 or a Locksmith level of at least 30 and have asked an Elder for the forgiveness of all of their sins. Initiation to the Brotherhood is conducted by Pymen the Monk and Samuel the Cleric. What makes a virtuous Brother? The Brotherhood of Virtue was founded by Norak the Virtuous for the purposes of working day and night to create a kingdom of virtue and justice, a world in which all stand shoulder-to-shoulder as brothers and sisters, virtuous and wise, helping one another. The main task of the Brotherhood is the struggle with the Bringers of Evil, whose dark hearts nurture hatred and carry it in our world. To fight the fight, representatives of the Brotherhood are constantly collecting the "dark resources", evil eyes and skulls from which the Bringers create hexes to turn the lives of Faeo's inhabitants into a living hell. 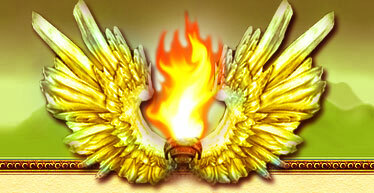 Having collected these resources, the servants of the Brotherhood commit them to the Sacred Fire of Purity. You can use this recipe to make the Scroll of Apotrope. With the help of this scroll you can use magic to protect from the harmful effects of the Simple, Swamp and Gehenna curses for a period of 1 hour. Needed: Scroll of Exorcism and 10 Emanation of Good. You can use this recipe to make the Scroll of Healing Burns. Using this scroll, you can use magic to heal burns but not more than 5 times. Needed: 1 Bewitched Parchment and 20 Emanation of Good. With the help of this manuscript you can place the Alalaila's blessing on players not lower than level 7. The blessing protects players from injury for 2 hours, as well as increasing vitality and speed, and in battle restores 5 life every 10 seconds. This manuscript can only be used 5 times in a 24-hour period. You can use this recipe to make the Scroll of Blooming. With the help of this scroll you can rid yourself of the Mark of Death not more than 5 times. Needed: 1 Bewitched Parchment and 40 Emanation of Good. You can use this recipe to make the Scroll of Arch-Apotrope. With the help of this scroll you can use magic to protect from the harmful effects of the Simple, Swamp and Gehenna curses for a period of 4 hours. Needed: 1 Scroll of Exorcism and 20 Emanation of Good. With the help of this manuscript you can place the Ahimsa blessing on players not lower than level 9. The blessing protects players from injury for 2 hours, as well as increasing vitality and speed, and in battle restores 7 life every 10 seconds. This manuscript can only be used 5 times in a 24-hour period. This artifact heals injuries for 30 hours. It can only be used on the owner of the artifact, no more than 3 times a week.